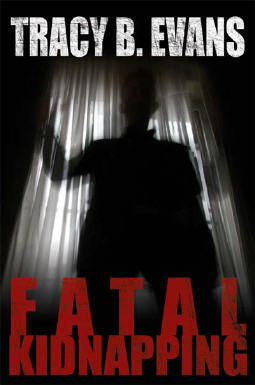 An interview I conducted with Tracy B. Evans, author of Fatal Kidnapping, which was published by AuthorHouse. Can you give us a basic summary of Fatal Kidnapping? Katie Stone felt all alone. At the same time, however, she never felt alone. Katie was constantly checking over her shoulder in fear, a perpetual and eerie feeling that someone was watching or following her. Unfortunately, no one would believe her. In Fatal Kidnapping, Tracy B. Evans' new book of love, death, and abduction in a small town, the refusal to believe Katie turns into disbelief when, suddenly, Katie disappears. When Katie's father, Jed, does not hear from her and neither he nor Katie's fiancé, Caleb, can find her, Jed contacts his close friend and the town's sheriff, Jack Day. Sheriff Day is clueless when it comes to conducting a search for a missing person, as he has never had to deal with any major crimes in such a small town. He eventually calls together a group of people from the town to meet him at the police station and begins the search for Katie. As the townspeople look high and low for the missing girl, the search begins to seem pointless. They find nothing to aid them in the investigation, and no sign of Katie. Caleb fears that Katie has left town because she has decided that she does not want to marry him after all. Then, suddenly, a few days later, Katie is discovered. She is bruised and battered, but she is alive. Katie begins to tell Sheriff Day what happened to her during the time she was gone, but Sheriff Day is immediately frustrated and confused. Why is she beginning her statement with details about her childhood? Katie tells him he must listen to the whole story or he will never believe her. Wanting to get to the bottom of things, Sheriff Day agrees, and he can not believe what he learns next. When Katie is finished, Sheriff Day believes he has discovered the truth behind her kidnapping. But has he really, and will the truth ever truly be revealed? Katie is adamant that the statement she has given is correct, but how can the kidnapper be a man who has been dead for years? It took me two years to complete the whole process of writing and publishing Fatal Kidnapping. Yes! I researched how law enforcement conducted search parties. I found out that anyone that is missing can be reported right away, which I was unaware of. I thought like most people, that someone had to be missing for twenty - four hours. Before I became an author, James Patterson, was the author for me. He had me hooked from the beginning on his "Cross Series." I am out of touch with his recent books though. I have been busy myself writing. No, I do not. I first plot stories in my head, then, I begin to write. It varies at different times of the day when I write. I do try to write a few times a day. Mystery and Suspense readers. I love this genre myself, so I tend to write a little better for them. I know what they expect! The one book that has stuck with me for years since I have read it is: Suzanne's Diary for Nicholas by James Patterson. I have never forgot the story and it is very touching. I love my readers. I have met so many wonderful people by writing Fatal Kidnapping. Each person that contacts me, I hold them dear to my heart. It is such an amazing experience to know that people love my writing. I would also like for everyone to know that I as a mystery writer, try to confuse you, and shock you. I write like I like to read. Pure suspense and mystery! At the current moment, I am writing a mystery and suspense novel. I do not want to give away any details yet. I am still working on the plotting the story. Follow your heart if you want to write. Know yourself and what you are capable of. Do not let criticism get you down. Learn from your mistakes so that you can become a better writer. Give it all you got! For more information, please see Tracy's website at www.tracybevans.com.